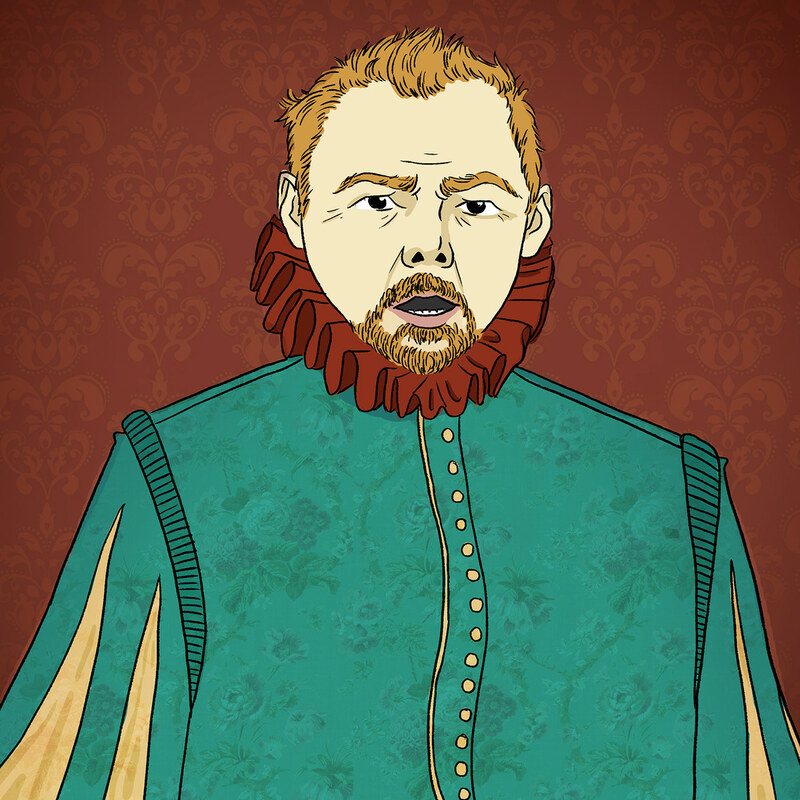 A digitally painted portrait of Simon Pegg as William Shakespeare. this is a digitally painted portrait of the actor Simon Pegg. it combines the traditional actor headshot, his characteristic blank emotive face, and a combination of medieval and renaissance style portrait painting.